Find out how your child with food allergy can successfully navigate school buses and field trips. Since teachers don’t ride the school bus daily, there may be little to no supervision of children, and accidents can occur. Unfortunately, some school bus drivers may not be trained in emergency response to allergic reactions. School administrators can speak with the transit company to find out what emergency training in anaphylaxis they have received, and respond to any knowledge gaps with training. 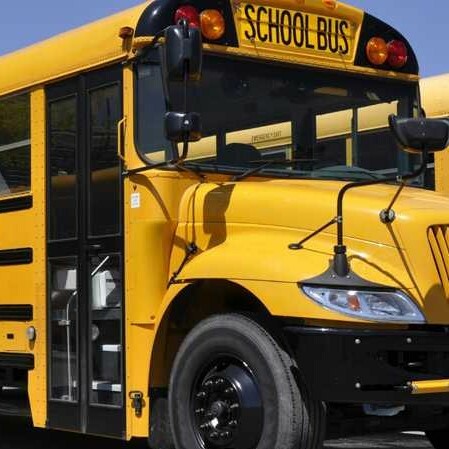 Many schools have a “no eating” policy on school buses because of the risk of life-threatening food allergy reactions. Need more info on school bus safety? Please contact us at info@foodallergycanada.ca. When students are in new situations, they can be at greater risk for a reaction because their normal routine is changed. School trips and special events are not part of the daily routine and may present new risks. If you are a teacher, staff member, driver, or volunteer on a field trip, you need to be prepared. Understand the signs and symptoms of anaphylaxis and what to do. Before you leave, take some time to practice using the auto-injector with the rest of your team. Make sure your child with food allergy is carrying their auto-injectors. Talk to them about their needs and concerns. Teachers, staff and parent chaperones should carry a back-up auto-injector in case a second injection is necessary before medical help arrives. All teachers and chaperones should carry a mobile phone. Inform all adults travelling on the trip about which students have food allergy or other allergies, and make sure they have a copy of the Anaphylaxis Emergency Plan for each student. Talk to all students about keeping their classmates with allergies safe. It is often best for young children to bring their own food from home and to have a “no sharing” policy in place. Teachers should consult with students with allergies ahead of time (and their parents/guardians) about foods or other allergens to avoid during the trip or event. Any food that is part of the outing (like animal food at a petting zoo, food and materials used in craft projects) should be checked for potential allergens. Keep an eye on students. In a new space, new risks could be taken and students may communicate less with adults. Instruct all teachers, drivers, and chaperones on how to use the auto-injectors being brought on the trip and have them practice before leaving. Review the 5 Emergency Steps with all adults and students. There are two types of auto-injectors available in Canada, EpiPen® and a temporary supply of AUVI-Q®.